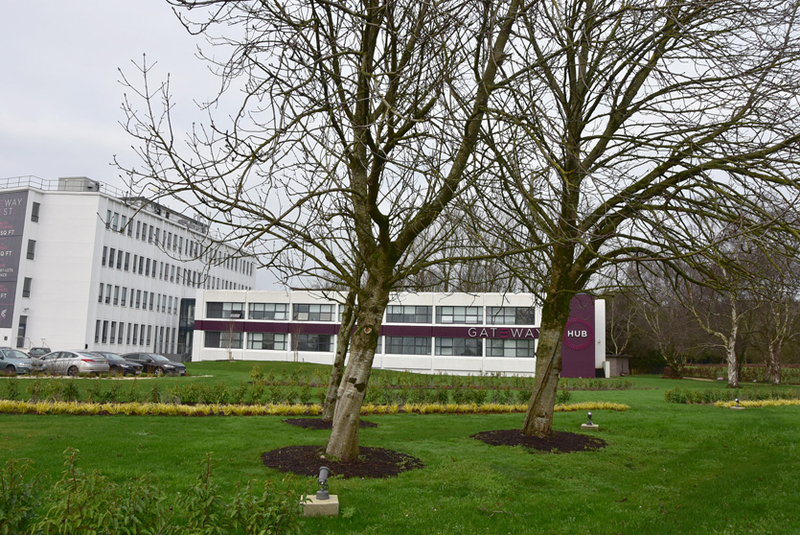 The Entrance Area to Shannon Airport has been improved significantly by the addition of landscaping and landscape lighting. A new Starbucks Cafe has also been added and several new attractive office block buildings are nearing completion, all in the same area. 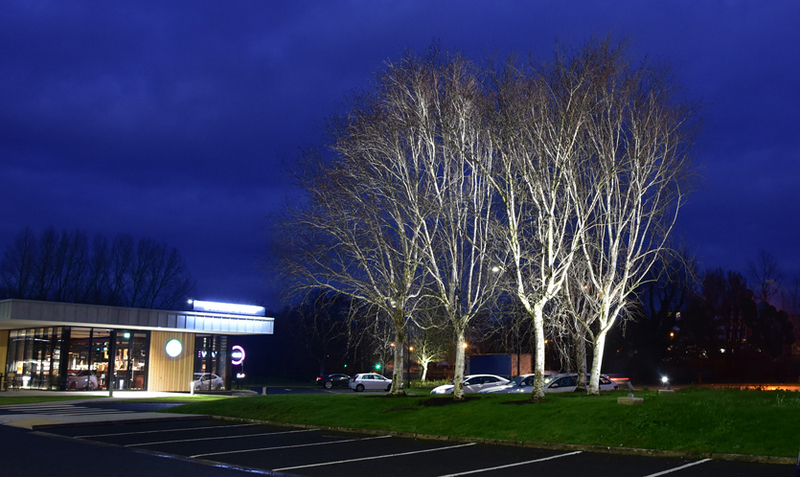 The Landscape lighting is improving the scenery for those working in the locality, passing to or from the Airport or relaxing in the new Cafe. It will also enhance many Visitors first impression to Ireland. 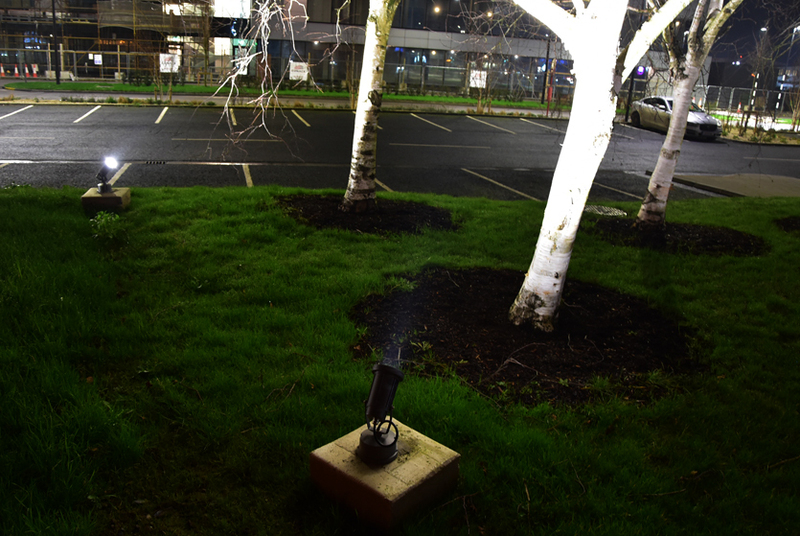 Using Ground mounted Floodlights, many of the Trees and shrubs have been illuminated. 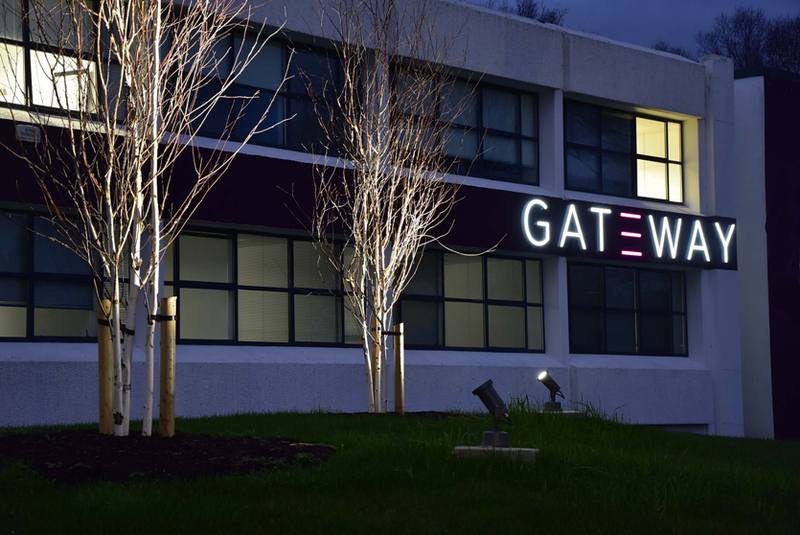 Using LED optics, this provides a white light in stark contrast to the night sky. 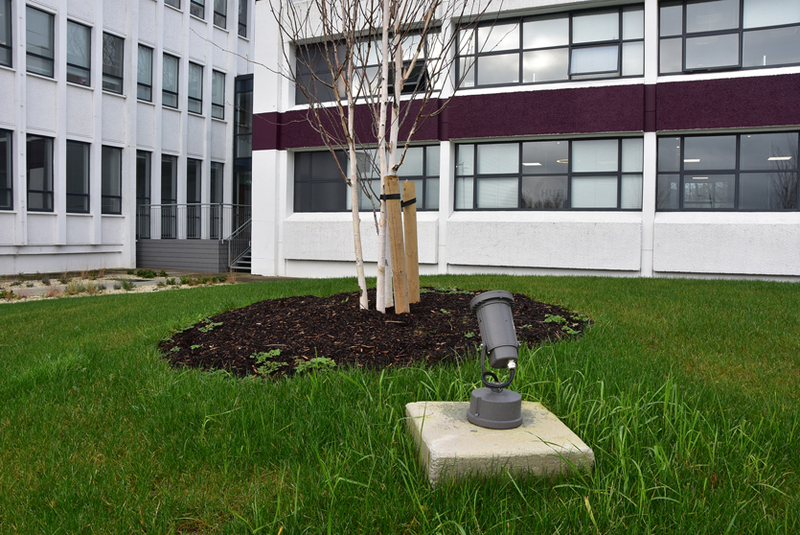 These small Projectors have been installed on concrete Bases to provide protection against Lawn Mowers. 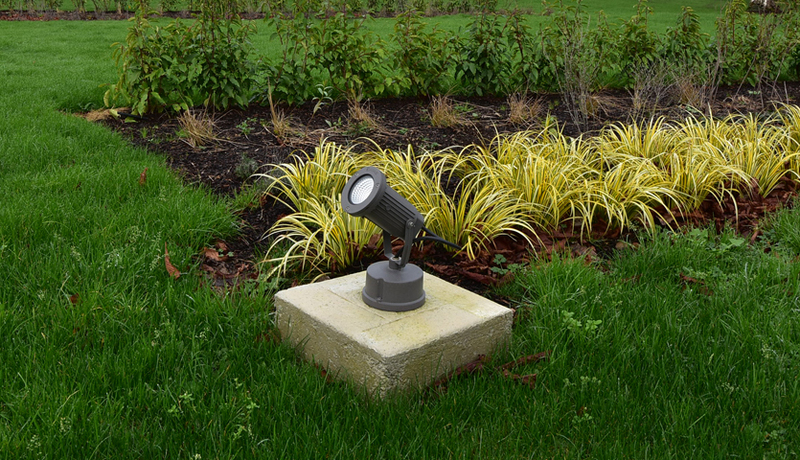 The Landscape Lights are very adjustable so they can be tilted or re-orientated on site to provide best effect. The Landscape Lights on this project are typically 26w LED with 24 degree or 60 degree Beams. 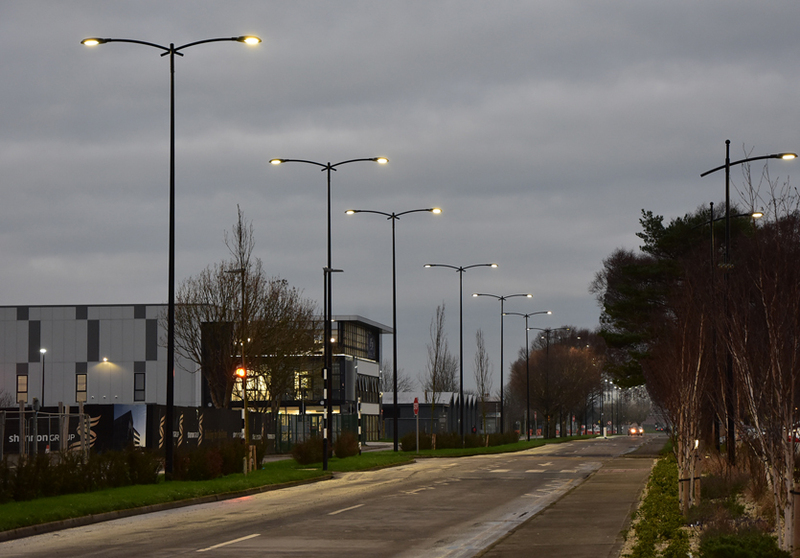 The nearby dual-carriageway is also illuminated using Veelite decorative LED Atina Streetlights with Black Conical Poles and Twin Lycia Brackets. A single Arm Lycia bracket of these Atina Streetlight fittings is used to illuminate the Carpark area and entrance to the Starbucks Cafe (see right edge of photo below).